Quickly consume project information, identify issues, make better informed decisions, avoid surprises and analyze lessons learned. 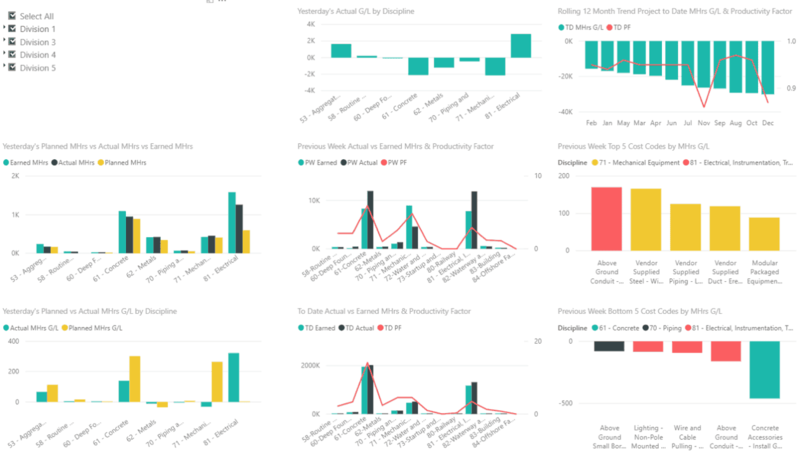 Conduct deep, interactive analysis across your entire project with pre-configured dashboards, custom visualizations, and connections for external reporting tools and enterprise data sets. We can look at every single self-perform item from the previous day and see if we made or lost money, how everyone was doing, current budget for man-hours, cost, how they did that week and to date. 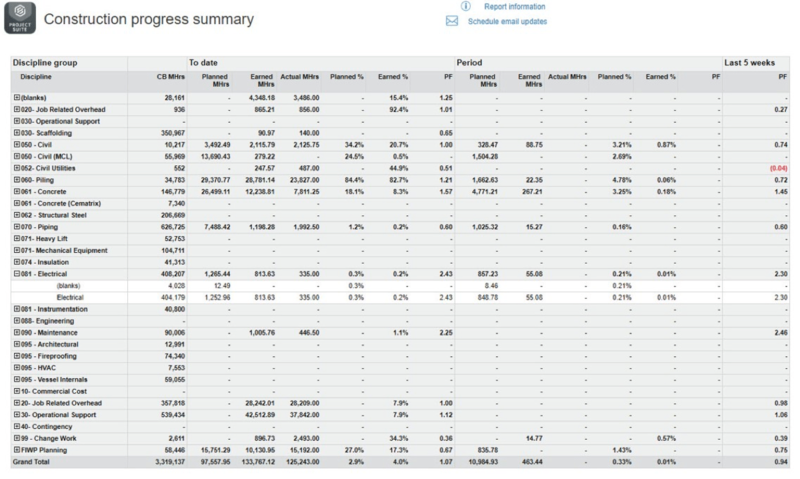 For a production manager on a large project with thousands or millions of man-hours… this is an awesome report. When we’re looking at it on a weekly or daily basis, when we’re analyzing the data to see how we’re doing, we can actually trust the information. See how we take the guesswork out of project performance and get you the right information at the right time to drive business decisions.